It began as a passion to make Milwaukee a better place through quality journalism and story telling. That passion evolved to a desire to do new media better, locally and nationally through unique partnerships. We know how to monetize digital content. From day one, it’s been our sole focus as we’ve built a strong, profitable independent media group. Backed by an energized team and experienced investors, we eat, sleep and breathe digital all day and all night. Today, as a full-service digital media company, OnMilwaukee stays true to its mission to “Make great media and move Milwaukee forward,” while always fostering a culture of community-building that stems from proven business tactics engrained in entrepreneurial-minded team that leads instead of follows. OnMilwaukee leverages its personality-driven local entertainment and sports content, breaking news and curated time-tested journalism, to drive traffic, loyalty and engagement. Our success, both in traffic and in profitably, continues to grow. 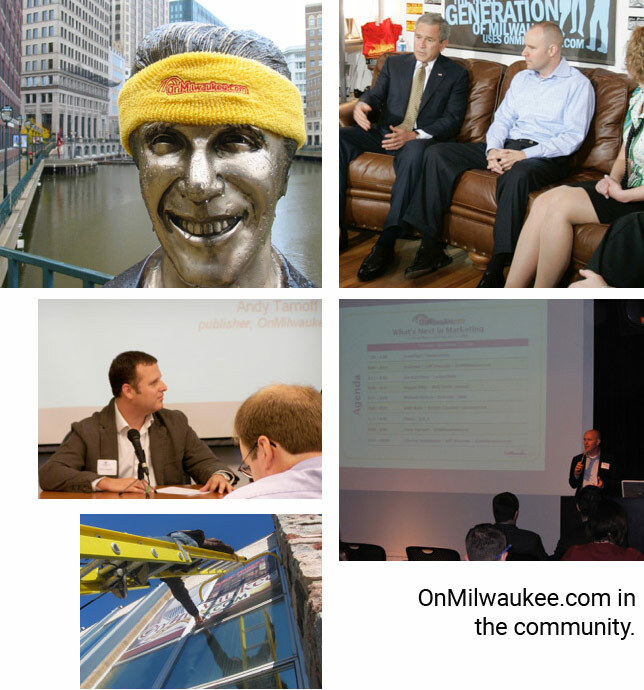 What’s next for OnMilwaukee? There’s more room to expand within in this market, but we’re also looking to grow nationally in a consultative capacity. More than 20 years ago, we built our unique playbook out of necessity – but it’s fully scalable, too. Our company was born in a world before Facebook, Google and Twitter. Moving agilely, we’ve continued to reinvent ourselves alongside them. You’ll never meet a smarter, more dedicated group of passionate professionals than when you walk in our doors. Each of us works every day to tackle the next challenge with our signature style.